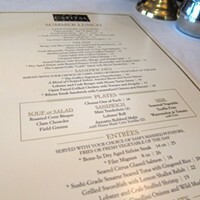 The Capital Grille keeps things fresh by introducing new events and menus frequently. It seems they always have a special wine flight dinner, featured wine promotion, or special seasonal menu going on at all times. 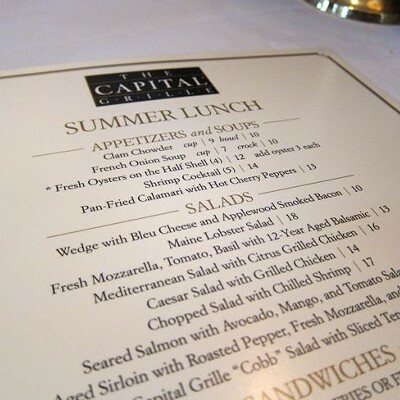 Currently they are featuring a Summer Plates lunch menu, which will run until the end of the summer. Diners are able to create their own combo meal by picking one item from three categories (soup or salad, sandwich, and side), all for $18. 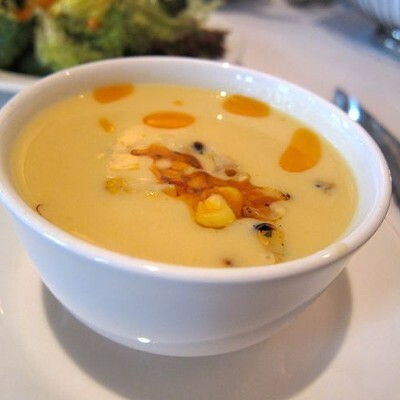 SOUP/SALAD: The Roasted Corn Bisque, full of kernels of blackened corn and drizzled with bright orange chili oil, was so delicious I found myself already thinking about how sad it is that the item is only seasonal and won't be on the menu full time. 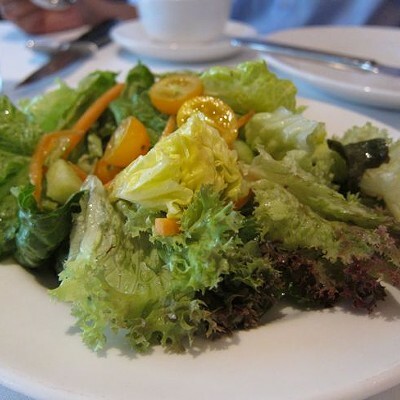 The Field Greens salad was delicately dressed with a fantastic champagne vinaigrette. Consisting of only lettuce and tomatoes though, it wasn't very exiting otherwise. 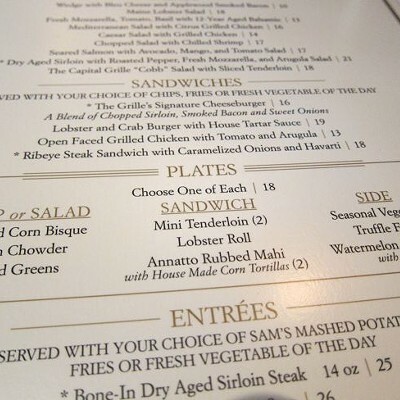 SANDWICH: Holy mother of lobster rolls ... Capital Grille's version of the crustacean classic is loaded, and I mean loaded, with lobster meat. Mayo-haters beware, this one is made with mayo and not butter. 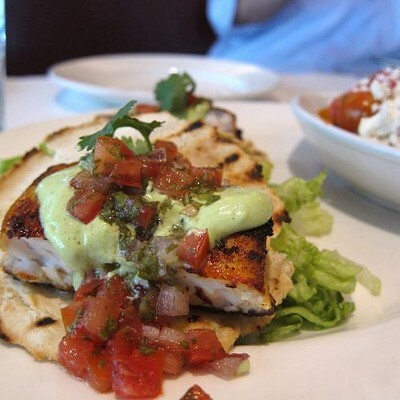 The Annatto Rubbed Mahi served on homemade corn tortillas was good, but not my favorite. SIDES: I tried all three. 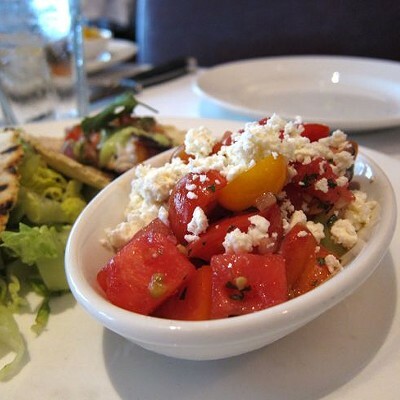 The Watermelon & Tomato salad with feta is a winner in my book. It's light and refreshing when paired with grilled seafood or meat. 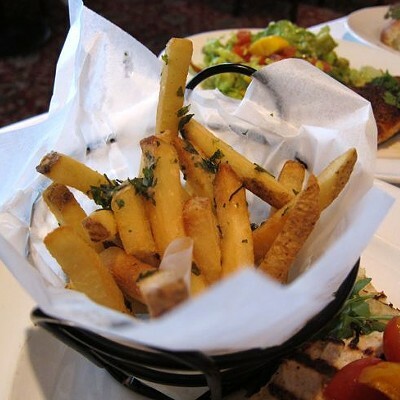 The Capital Grille's signature Truffle Fries with Parmesan cheese are downright addicting  totally worth the calories. And the third side was the "Seasonal Vegetable" dish of sweet and buttery roasted corn. All the sides are so good, good luck choosing just one. - Seared Salmon with Avocado, Mango, and Tomato Salad ($17) - The mix of avocados, mangos, and tomatoes works really well here. The salmon has a blackening seasoning on top, but it's not as exotic as the salad that accompanies it. - The Capital Grille "Cobb" Salad with Sliced Tenderloin ($18) - This deconstructed salad comes with four pieces of beef, a sliced egg, big slices of avocado, bacon-covered lettuce tossed with a tasty honey mustard dressing, all centered around a giant slice of tomato with a wedge of blue cheese on top. 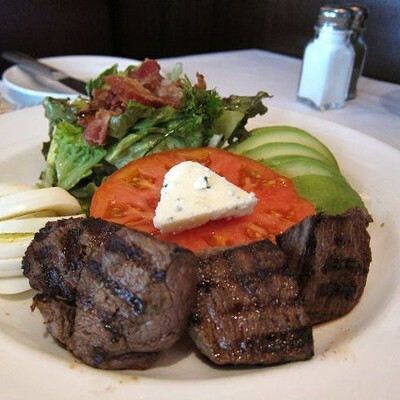 Don't let looks fool you  though the pieces of tenderloin looked dry, they were extremely juicy and tender. 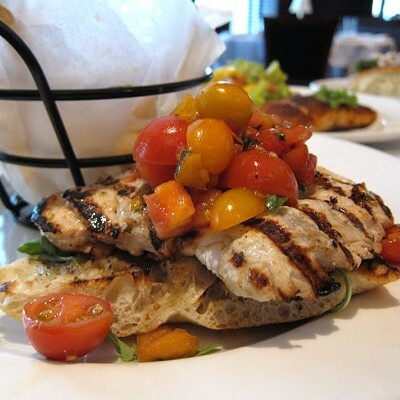 - Open Faced Grilled Chicken Salad with Tomato and Arugula ($13) - I wasn't a fan of the open faced sandwich. Trying to be civilized about eating it with a knife and fork, it was tough to get the perfect bite of bread, chicken, and topping together. I'd prefer using my hands to shove it into my mouth rather trying to be delicate about cutting through the chicken and the crusty bread, while attempting to keep the sandwich layered together. The chicken was juicy and the flavors were good though. 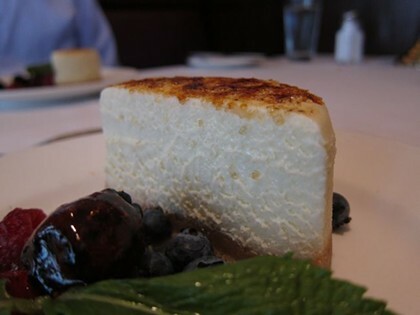 And as always, I'd recommend their classics Creme Brulee Cheesecake and/or the Coconut Cream Pie for dessert. 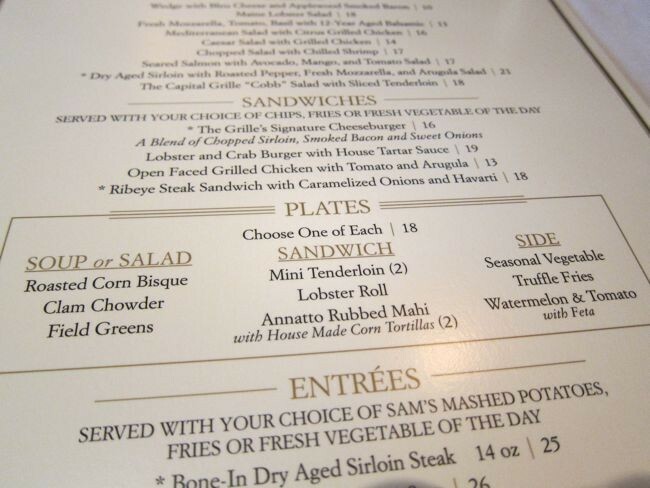 Lunch is available Monday-Friday from 11:30 a.m. until 5:00 p.m.